This episode, and the next three episodes after it will focus strictly on the events of July the 1st, making it I think the most covered day in the history of our podcast. This was the day, the day of the great attack, one that would not fully end for the next 5 months. The 24 hours from when the infantry attacked at 4AM and then for the next 24 hours is well covered in the history books. Entire books have been written just about the British attack on this day, and I do not think it would be controversial to say that it is the important day, or at least the most remembered, day in British military history. 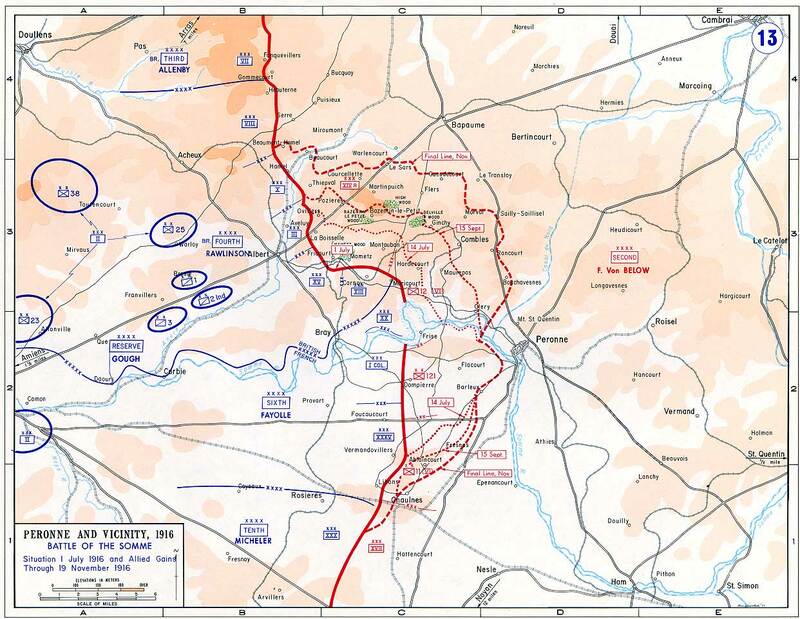 The general organization of these episodes will be as follows, we will first talk about the general experiences of the men all along the front, this includes the hours leading up to the attack and then what happened when they went forward. This episode, and the next three episodes after it will focus strictly on the events of July the 1st, making it I think the most covered day in the history of our podcast. This was the day, the day of the great attack, one that would not fully end for the next 5 months. The 24 hours from when the infantry attacked at 4AM and then for the next 24 hours is well covered in the history books. Entire books have been written just about the British attack on this day, and I do not think it would be controversial to say that it is the important day, or at least the most remembered, day in British military history. The general organization of these episodes will be as follows, we will first talk about the general experiences of the men all along the front, this includes the hours leading up to the attack and then what happened when they went forward. After we discuss the attack in a very general sense we will start digging into the details of the attacks, starting in the north with the British 7th Corps and then working our way south until we end in several episodes with the attacks made by the French army. We will only have time to get into the attack of the 7th Corps today, and we will pick up from there next episode. We will start though by talking about what the men went through as the clock ticked closer and closer to zero hour. As the artillery fire droned on the British launched several trench raids to try and figure out how things were going, trench raids are super interesting, and something I hope to cover more in a later episode, but in this instance they proved difficult, not because the Germans were too strong, but because it was difficult to find Germans to take prisoner. Prisoners were always the goal of trench raids, they could give information and provide a much better idea about what was happening in the enemy army. They could also give real details instead of just surface level evaluations which could be achieved from observation. Even without this information, or without a good amount of it, the attack was still going forward, and on June the 30th units began to move into position. As they mustered in villages, to setup in their units, and then moved forward into the lines they were almost everywhere observed by the Germans. They had a good view of the British lines and it was impossible for the British to completely hide the build-up of men immediately before the attack. 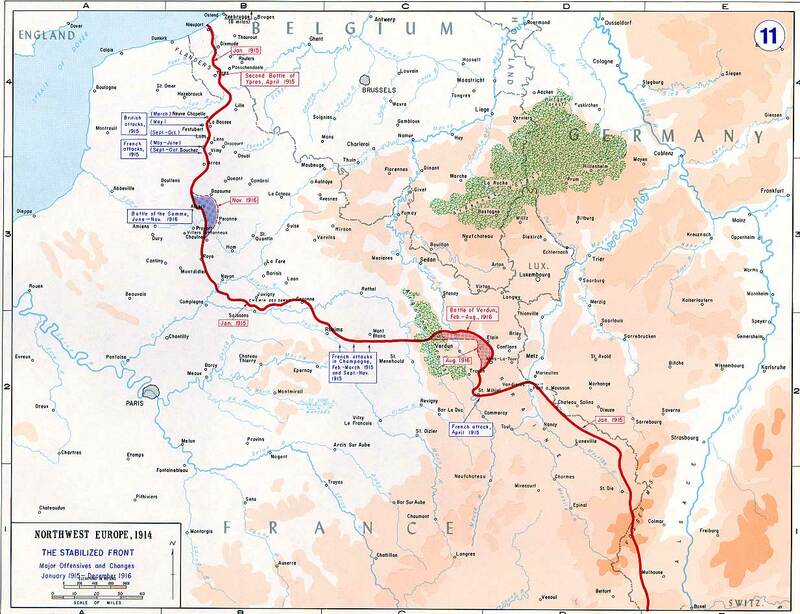 This was really just a time and distance problem, with how many men had to go forward, the British could not have them all moving in the darkness before the attack, they would have reached the front already exhausted, so they decided to just accept the fact that the Germans would see it. There were also German troops behind the front, and they were just as nervous as the British, and they did not even know when exactly everything was going to start happening. Here is Adolf Griesbaum of Reserve Infantry Regiment 111 discussing his experiences "We were billeted in a small village behind the front on the highest state of readiness. At any time we might receive the order to march forward. We knew that we faced a testing time. We had to prepare ourselves – perhaps for our departure from this life. Then I heard that there was the opportunity to go to confession in the little village church. I went there swiftly. The priest was not sitting as usual in the confessional, but stood in the middle of the church. Soon I could be counted amongst those happy warriors who could go into battle, his soul strengthened for the fight." The British goal was to have everything in the line and ready to go at 4AM, several hours before they would actually move forward. After the men arrived at their station they were often given their rum ration, maybe some tea, and a few other things to try and keep them comfortable while they waited. What they did not have were their normal packs and greatcoats, both of which had been handed in and stored behind the lines, these 200,000 packs and coats were stored in barns and other buildings all along the line, and unfornately for the men they had been replaced by other equipment. An example of what this new equipment was can be seen in this order handed out to the 29th division "Each infantry man will carry rifle and equipment, 170 rounds of small arms ammunition, one iron ratio and the rations for the day of the assult, two sandbags in belt, to Mills bombs, steel helmet, smoke helmet in satchel, water battle and haversack on back, also first aid field dressing and identity disc. A waterproof sheet should also be taken. At least 40 percent of the infantry will carry shovels and 10 percent will carry picks." The soldiers obviously had a few things to say about these burdens, here is Private Albert Andrews giving a run-down "I will tell here what I carried: rifle and bayonet with a pair of wire cutters attached; a shovel fastened on my back; pack containing two days’ rations, oil sheet, cardigan, jacket and mess tin; haversack containing one day’s iron rations and two Mills bombs; 150 rounds of ammunition; two extra bandoliers containing 60 rounds each, one over each shoulder; a bag of ten bombs." With all of this equipment it was not unheard of for an infantryman to be carrying half of their bodyweight, and needless to say this arrangement has received some criticism from historians. Here is G.J. Meyer from A World Undone "every man in the first wave carried some seventy pounds of weaponry, ammunition, and gear, so that even getting out of the trenches had been a challenge. The men in the later waves were more heavily burdened still. Their assignment was to consolidate the ground taken by the men ahead of them, and they had been equipped accordingly. They carried all the same things as the first wave plus everything needed to construct a new defensive line: boards, rolls of barbed wire, bundles of stakes, machine guns. If ordered to run, they would have been unable to do so, especially over ground that the bombardment had turned into an obstacle course. “Fancy advancing against heavy fire,” one survivor would recall, “carrying a heavy roll of barbed wire on your shoulder!" It is one of those criticism that I very much understand both why they decided to do it and why it is criticized so heavily. The commanders knew that it would be difficult to get supplies and material forward after the attack began, this had been proven time and time again. The only option was to give the men everything that they needed both to attack and to defend their new positions. That this made it extremely difficult to attack was an inevitable consequence, but the artillery was supposed to take care of that, right? Regardless, I do not really see another solution that they have available to the armies of 1916, there were solutions but they would come later. As the hour drew near the British continued with a routine they had started where they would have a bit of a ceasefire in the morning that would end precisely at 6:25AM, at which point, every day, the guns started firing again. This also happened on July 1st, with the hope of lulling the Germans into the belief that this was just another day. That was difficult to accomplish with what the Germans had seen the day before, but at least they tried. When the firing started again it was at a new level of intensity, and it continued to build. The German batteries, massively outnumbered began to answer the call and fire for all they were worth. This was a timely reminder to the British troops that the enemy was still out there and waiting. The clock ticked down, but slowly, Private Albert Andrews again "The orders came down: ‘Half an hour to go!’ ‘Quarter of an hour to go!’ ‘Ten minutes to go!’ ‘Three minutes to go!’ I lit a cigarette and up the ladder I went." The time came at around 7:30AM, depending on the exact are of the front, and at that moment the men went forward. A Sergeant of the 3rd Tyneside Irish would recall that “away to my left and right, long lines of men. Then I heard the ‘patter, patter’ of machine guns in the distance. By the time I’d gone another ten yards there seemed to be only a few men left around me; by the time I had gone twenty yards, I seemed to be on my own. Then I was hit myself.” While Private Roy Bealing recounted his experiences as "When the whistle went, I threw my rifle on top of the trench and clambered out of it, grabbed the rifle and started going forward. There were shell-holes everywhere. I hadn't gone far before I fell in one. There were so many shell-holes you couldn't get round them. But you had to go on so, every time I stumbled and fell in a shell-hole, I just waited a quarter of a minute, had another breath, then out of it and on again. I must have fallen half a dozen times before I got to the first line, and there were lads falling all over the place." The plan was for the men to follow closely behind the artillery, as we discussed last week, but that is now how it was going to happen on many areas of the front. One commander of the heavy artillery, in the 29th Division, a Gallipoli veteran, knew what was about to happen when he was given his bombardment orders for July the 1st. “knew that the attack … in his sector was doomed when [the corps commander] ordered the heavy artillery to lift off the enemy front line trenches ten minutes before zero, and the field artillery two minutes before zero hour.” All along the front, as the attack got going, it very quickly became apparent how effective the bombardment had been, or how ineffective in his case. The men, sometimes moving forward quickly, sometimes slowly, against the German positions found themselves falling behind the artillery that was supposed to protect them, and then all hell broke loose. The Germans were not surprised that the attack was coming, but that did not mean that there was not tension. After a week of British fire the German soldiers were tired, most of them were hungry, but they knew what they had to do, and they knew that the race was about to begin. Here is Jack Sheldon from The German Army on the Somme to describe it "They knew too that they had one chance and one chance only when the barrage lifted: if they wanted to live, they had to win the race to their parapet. If they were out of their dugouts, complete with their weapons and spare ammunition, before the attackers arrived, they would probably prevail. Caught underground, death or capture was their inevitable fate." And here is F.L. Cassell, a German soldier, “the shout of the sentry, ‘They are coming’ … Helmet, belt and rifle and up the steps … in the trench a headless body. The sentry had lost his life to a last shell … there they come, the khaki-yellows, they are not twenty metres in front of our trench … They advance slowly fully equipped … machine-gun fire tears holes in their ranks.” When the Germans reached their positions what they saw in front of them surprised them. In many areas the British were moving slowly forward, and where they were not they were often quite a ways away. There was plenty of time to setup weapons and to prepare, especially in the areas where the front was far apart, in some areas it was up to 600 yards between the lines. This is where things get tricky for both the historian and the reader, and I guess for the podcaster as well. Many of the sources that I have read focus on the worst areas for the British, those where the artillery did not greatly hinder the defenders, and where it ran away from the infantry and left them high and dry with nothing but German machine guns staring them down. Some authors focus on these accounts exclusively, and that means that it is the memory and sticks in most people's minds. This bias may not even be intentional, for example I did not intentionally cherry pick my quotes from the various accounts of the battle around trying to find the worst cases of British mistakes, but when I came back to start organizing everything for these episodes I found that almost all of them were from German soldiers or British soldiers where the attackers just got destroyed. Thinking back on all the reading I did, I think this is because of two reasons, first it is because it was in these areas that the Germans were most successful and they were able to make accounts of the fighting, but also because they are generally filled with the most drama, they make the best pull quotes because they tap into the horrible tragedy of the attack. With all of that navel gazing out there, I am now going to give a few quotes from this type of account, and I think it will become obvious why I selected them, I will then discuss a different view on the other side. First here is a German Machine Gunner "We were surprised to see them walking. We had never seen that before…When we started to fire we just had to load and reload. They went down in their hundreds. We didn’t have to aim, we just fired into them." And then here is Unteroffizer Otto Lais, which a far more lengthy and detailed account “The machine gunners, who lived a privileged life at quiet times and were envied for being able to avoid jobs such as carrying heavy mortar rounds forward, were earning their pay today. Belt after belt was fired. 250 rounds – 1,000 – 3,000. ‘Pass up the spare barrels!’ shouts the gun commander. Barrels are changed - fire on! 5,000 rounds. The barrel must be changed again. It’s red hot and the cooling water is boiling – the hands working the weapon are scorched and burned – ‘Keep firing!’ urges the gun commander, ‘or shoot yourself!’ The cooling water turns to seething steam with the continuous firing. In the heat of battle, the steam overflow pipe slips out of its fixing on the water jacket. With a great hiss, a jet of steam goes up, providing a superb target for the enemy. It is the greatest good fortune that they have the sun in their eyes and we have it at our backs. The enemy closes up nearer. We fire on endlessly. There is less steam. A further barrel change is urgent. The cooling water has almost steamed away. ‘Where’s the water?’ bawls the gunner. ‘Get the mineral water out of the dugout!’ ‘There’s none left Unteroffizier!’ It all went during the eight day bombardment. Fire; pause; barrel change; fetch ammunition; lay the dead and wounded on the floor of the crater. That is the hard, unrelenting tempo of the morning of 1st July 1916. The sound of machine gun fire can be heard right across the divisional front." Both of those quotes make the British look pretty bad, and they are probably pretty accurate for their area of the front. However, on other areas the fighting was far more than just how long the Germans could keep their machine guns firing. Here is another German account from further south on the front as he describes a far more energetic attack “The infantry rushed forward with fixed bayonets, The noise of battle became indescribable. The shouting of orders and the shrill British cheers as they charged forward, could be heard above the violent and intense fusillade of machine guns and rifles and the bursting bombs, and above the deep thunderings of the artillery and the shell explosions. With all this were mingled the moans and groans of the wounded, the cries for help and the last screams of death. Again and again the extended lines of British infantry broke against the German defense like waves against a cliff, only to be beaten back. It was an amazing spectacle of unexampled gallantry, courage and bulldog determination on both sides." One thing that the Germans had going against them was the various mines that had been placed by the British along the front. The largest of these was detonated under Hawthorne Ridge at 7:20AM, 10 minutes before the attack came forward. The men in this area were simply obliterated but since it was so long before the main attack the British troops were unable to really capitalize and mostly it just served to notify all of the German units that the attack was about to begin. 10 more mines went off at 7:28 but these were not as effective and while they created large tombs for countless Germans it did not give the British the advantage that they hoped. It made it easier for the first waves to reach the front line in the specific area, but made it harder to push through since they had to deal with the newly formed crater. Those are some sort of overview thoughts on the attack. And this is the point where we start to get a bit more detailed. As I mentioned earlier we will start in the north, and that means starting with the British 7th Corps. Unlike the main attack to the south the 7th Corps was a member of the 3rd Army, and it would be using two divisions, the 46th and the 56th in the attack. 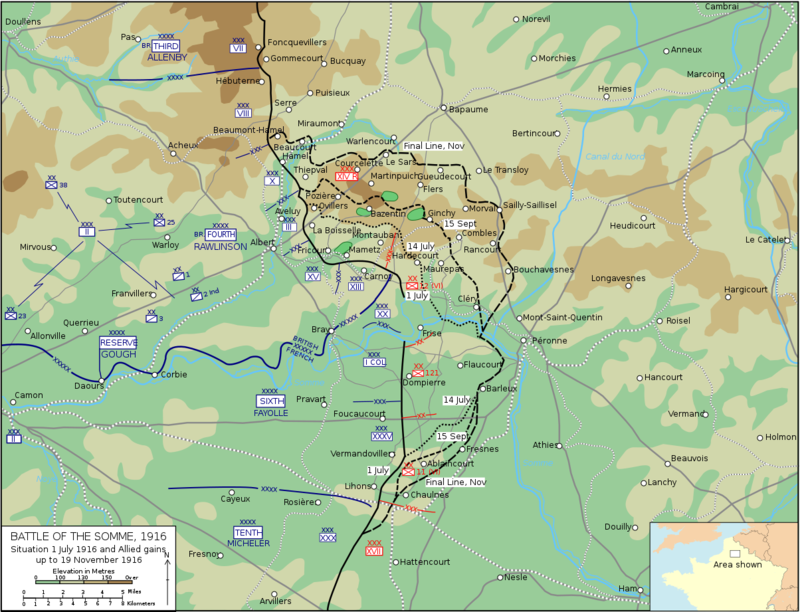 The goal of the assault was not to make lofty gains but instead to just attract German fire and to distract them from the main attack happening to the south. It was hoped that this attack would be able to pinch off the German salient named Gommecourt as well. This would have given the British a great position for future attack, there was just one problem though, Gommecourt was one of the strongest German positions on the entirety of the Somme front. It was also being treated as something of a sideshow for the British which meant that the attackers did not have the amount of guns and troops that would have been necessary to every had a real chance at capturing the village. The problems began with the artillery, there simply was not enough of it on this area of the front to hurt the German garrisons who were protected by their deep dugouts and careful preparation. There was also not enough focus by the artillery on counter battery fire which meant that most of the German artillery would be reading and waiting when the time came. The final problem was created by a bit of proactive efforts by the defenders. In the lead up to the attack, as in other places, a large amount of effort had been put into cutting the wire, and there were several areas where this was a success. However, just hours before the attack come forward on July 1st the Germans were able to creep out into No Man's Land and patch up and repair some of these areas, areas that the British did not believe they had to focus on because they believed that all of it was already taken care of, this would prove to be disastrous. Whistles blew along the front at 7:30AM, and the attack started. On the 7th Corps front, right before the infantry went forward there was an effort to create a smoke screen to shield the attackers. On this area of the front these efforts were rewarded with a workable smoke screen. However, this did little to save the men from the masses of German artillery raining down on them, but it did help shield them from German onlookers and accurate German machine gun fire. As the men moved towards their objectives they were quickly lost in the smoke, with only the foggiest idea of where they were or where the units to their left and right were, but they kept moving. It was a very dangerous environment, as Private Arthur Schuman of the London Regiment, 169th Brigade, 56th Division explains "Officers led the way, most of whom dropped immediately. Machine guns seemed to crackle from every direction, I kept my head down as low as possible, helmet tilted to protect my eyes, but I could still see men dropping all around me. One on my left clutched his stomach and just collapsed. Another, a yard to my right, slumped on to his knees. The din was terrific, stifling any screams. Entangled wire had to be negotiated. Just one opening – on which the German fire was rapid and most accurate. Not many of us got through. 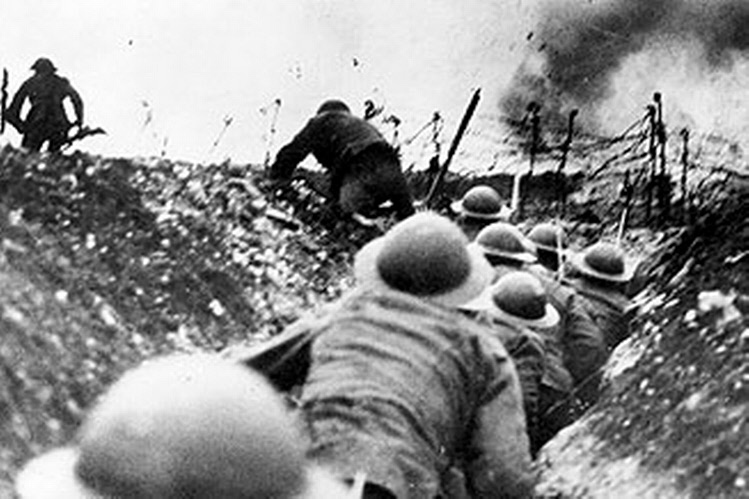 The journey seemed endless, but at last a number of us fell into a German trench." The Germans had rushed into their lines, or what was left of them, and prepared for the British to come at them. In the 56th's area of responsibility the wire was still mostly destroyed, and this allowed the leading troops to rush forward to occupy the first set of German trenches. They were then carried forward into the second line as well, almost just by their momentum, added to by the men following, but they found themselves stopped cold by the third German line. Unfortunately to the left of the 56th division the 46th had made no progress at all and it was only after the 56th had advanced and taken their positions in the German trenches that the failure of the 46th, and the problems that it would cause would begin to be felt. Since the 46th had been stopped, and was unable to successfully renew their efforts, all of the German forces in the area began to focus strictly on the men of the 56th. The men who had gotten to the German trenches found themselves isolated and slowly squeezed by German infantry and artillery. From seemingly every direction German counter attacks pushed in, and behind them the German artillery fell like a curtain of steel to cut them off. Some wounded men tried to make their way back to the British lines, only to be cut down just like the supporting units that were trying to push forward. Second Lieutenant Petley of the London Regiment, of the 56th division would be one of those men who were holding the German trenches "I sent a message back to you about two hours ago to the effect that I am holding on to Eck with about forty men, including a dozen Queen Victoria’s Rifles and one Queen’s Westminster Rifle, and that I wanted more bombs. Quite out of touch to right and left. Have held off Germans on our right with barricade. It is quite absurd to lay here at night as we are." Unfortunately, everybody in the British lines knew how critical it was to get more men and supplies forward, but there was simply nothing they could do to make it happen. This is Lieutenant Colonel Dickens, also of the London Regiment "If we could only have got bombs over to them, I think they might have managed to hold on until dark, but the artillery barrage and machine-gun fire put up in No Man’s Land was so heavy that it was impossible for anyone to get across or live there." The German artillery was not just keeping the British units apart but it was also playing havoc with any effort to properly coordinate with the British artillery. Between the original front lines and the Brigade headquaters to the rear almost every telephone line had been cut. This meant that it was impossible for officers like Lieutenant Dickins to communicate his need for support to those who could actually provide it. Cut off and without any help the only thing that the troops who had made it across could do was try and hold onto their gains and hope for the best. The greatest need was for grenades, and in the units these were distributed to the most dangerous area, they also scrounged for any German grenades that had been left behind. Some units were lucky and found some, but this provided only a brief respite from the crippling lack of grenades and ammunition. Here is Private Arthur Schuman again "The Germans were in the same trench slinging over stick bombs from both flanks. I must have been really mad, for in the heat of the moment, I quickly picked up a stick bomb, certain that I had sufficient time to throw it back. But the trench being so high, it hit the top and fell back. With two or three others who were near me, we had to nip into the next bay very smartly." Eventually the pressure go to just be too much and there was nothing left to do but try and pull back. First units tried to just retreat to the first German line, but even this was not enough. The London Scottish seem to have been the first to try to retreat across no man's land and this created a domino effect. As each unit was forced to retreat the pressure on the units left mounted higher and higher until they to were forced to retreat, which then put more pressure on those left, so on and so forth. The last party was pushed out into No Man's Land at 11:30PM after almost 18 hours of near constant fighting. At the end of the day the British had some success, but they had been completely unprepared to capitalize on it. Therefore what they had gained was squandered when the Germans counter attacked. The end result of the attack was that the 46th and 56th divisions, who were simply a diversion, had lost almost 7,000 casualties, most from the 56th. While these numbers were large, they were also heavily focused on just a few units, with those like the London Regiment hit the hardest. The German casualties were a mere fraction of what the British had suffered. The 7th Corps had made no permanent gains, but the real question was, did this attack achieve its main objective? Did it properly distract the Germans from the attacks further to the south, that is question that we will begin to answer next episode. Thank you for listening, have a great week.